All of the forms and service contracts listed below are included with our Silver and Gold packages! Sophie's tells you how she left her full time job to start her own pet sitting and dog walking business. Enter your postcode to find the nearest pet sitter or dog walker. 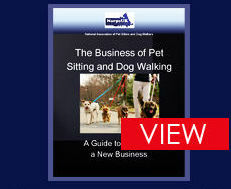 If you want to earn money from pet sitting or dog walking then you have got to do it right, within the requirements of what is needed to run your business your service contracts should be right at the top of the list. Running your business without contracts in place would be business suicide, these legal forms and contracts are there to protect you and your business when things go wrong. They will clarify what service is being provided for what costs so there are no misunderstandings. Also having the right forms and contracts in place will give you credibility and install confidence in your clients. Our forms and contracts have been drawn up by a contracts solicitor and will stand up in court if needed. Join NarpsUK and all of your forms and contracts are included in your membership fee, when you log into your account page click onto the 'Forms and contracts' button to download these onto your PC and then add your own business details and logo if required. There are many other things to consider before starting your business for example: prices, dog walking insurance, paperwork, pet sitting software, etc., NarpsUK can help you will all of these things and much more, we are here to help and support you while you start and grow your business. NarpsUK also offers many other benefits to existing and new dog walking & pet sitting businesses.